If there's a narrow lot home that provides a lot of living for its square footage, this is it. While a front-entry garage provides convenience, a spacious patio encourages outdoor relaxation. 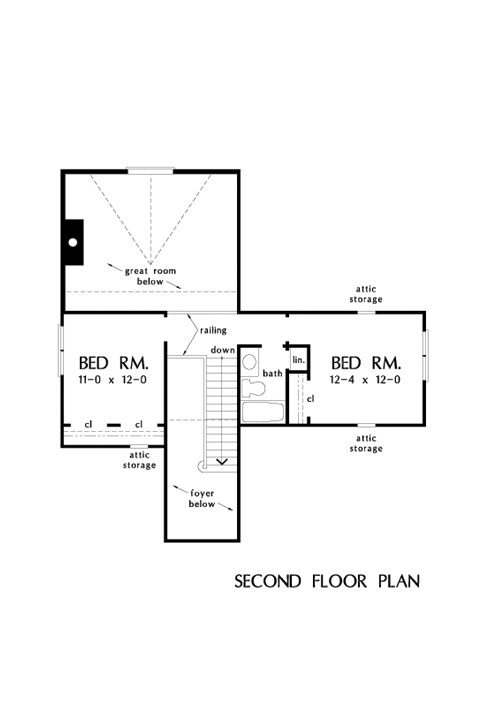 With a central hall dividing the common rooms from the sleeping quarters, the floorplan marries openness with privacy. Both the foyer and great room have two-story ceilings, which expand visual space, and a bay window with seat extends the breakfast nook. The dining room is topped by a cathedral ceiling. In the master suite, a tray ceiling crowns the bedroom. 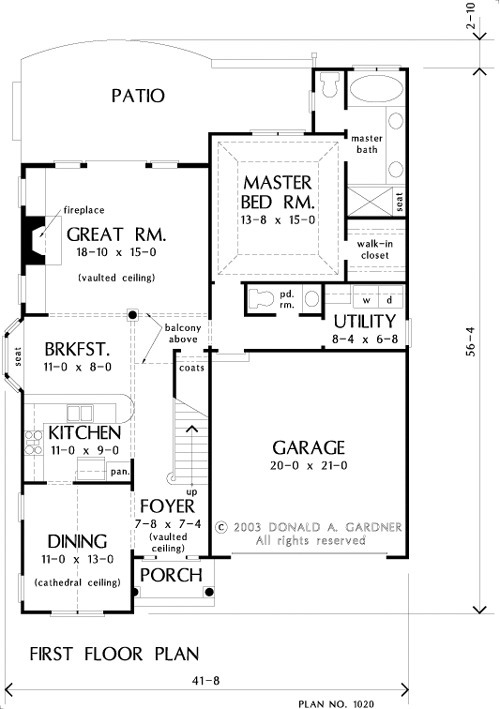 The master bath includes a double vanity, garden tub, shower with seat and a private privy. 2nd Floor: 476 Sq. 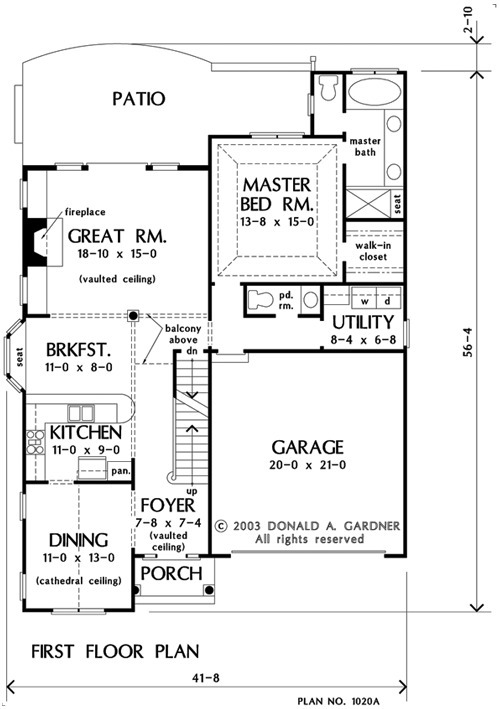 Ft.
House Dimensions: 41' 8" x 56' 4"
Great Room: 18' 10" x 15' 0"
Porch - Front : 8' 4" x 4' 0" x 10' 1"
Deck / Patio : 19' 4" x 12' 8" x 0' 0"
Foyer (Vaulted): 7' 8" x 7' 4" x 18' 0"
Dining Room (Cathedral): 11' 0" x 13' 0" x 12' 4"
Great Room (Vaulted): 18' 10" x 15' 0" x 18' 0"
Utility Room : 8' 4" x 6' 8" x 9' 0"
Master Bedroom (Tray): 13' 8" x 15' 0" x 11' 0"